You would think we would have done this one already, but it was a first for us. 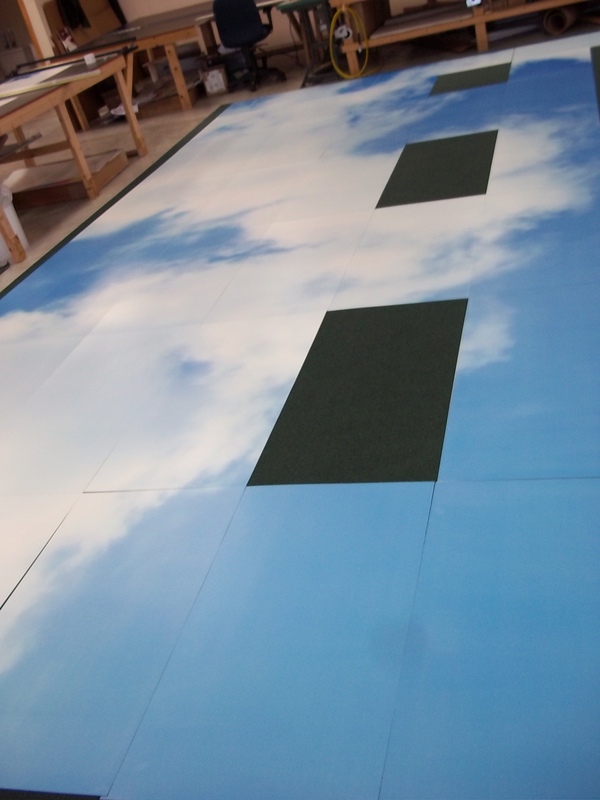 Our customer wanted to have clouds printed on the ceiling tiles in his retail store, so we found a good clouds image and printed ’em up! In this case, we actually printed on 1mm sintra instead of ceiling tiles. Ceiling tiles themselves are pretty fragile, and we thought these would make the trip better. The customer also didn’t want the speckle patter that is in a ceiling tile to disrupt the cloud image. Our customer gave us a diagram of the ceiling so that we could give him the cloud pattern all the way to the wall, all the way around the room. Usually there are less than full tiles around the perimeter of a drop ceiling, so we cut the sintra to fit the smaller size pieces. This entry was posted in Flatbed printing and tagged images on ceiling tiles, printed ceiling tiles, printing ceiling tiles. Bookmark the permalink.